Our syndicate horses are either purchased well- bred yearling fillies, winning two year olds or carefully selected home-bred horses. Each horse is then put into a separate syndicate and allocated to one of the partnerships. Each horse is divided into eight equal shares which are available for sale or to lease. Any multiple of the shares can be purchased or leased up to 50% of the total horse. In some cases a number of half shares (1/16th) are available. Bridget always retain the ownership of at least two shares in each horse. Costs start at an annual charge of around £1,500 for a 1/16th lease share. The initial payment covers the purchase costs and 50% of the estimated training fees for the first year. The second 50% of the estimated costs are paid six months later. At the end of the first year the accounts are prepared and the fees for the second year are adjusted for actual costs and prize money won. Fees for the second year are also due in two equal instalments. At the end of the second year members can decide whether they want the horse to continue in training for a further year or sell their share. If the horse is sold, the selling price is added to the balance of money remaining and distributed between the members. What makes Mildmay Racing the syndicate of choice? 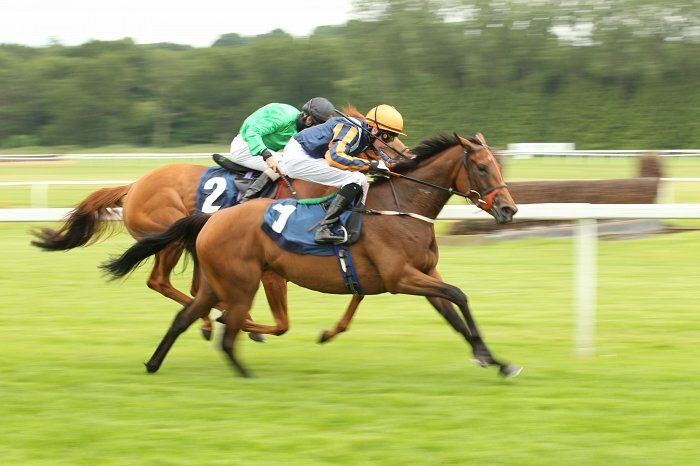 Mildmay Racing is a privately held family run business and our primary objective is to enjoy the thrill of racehorse ownership with like-minded people whilst minimizing the financial risk. When you join a Mildmay Racing syndicate you will be in good company and will spend the 2017/18 racing season alongside other like-minded members, where your horse could run at some of the country’s finest courses such as Ascot, Newmarket, Epsom, York and Goodwood. At Mildmay Racing you’ll be joining a family team who in just 12 years have already achieved an impressive 12+% winners to runners ratio and secured placed horses in 48% of races entered. And in the midst of all that in Mildmay Racing’s Perfect Tribute secured the course records at Ascot and Lingfield. Syndicate members can benefit from substantial capital returns. For example our most successful home-bred horse was sold into a Mildmay Racing syndicate for £25,000 in 2010 and then sold for more than ten times that amount in 2012 returning £30,000 on an initial £3,000 share ownership winning a group 3 and listed race on the process and more recently with Puzzled look, who was sold for£100,000 to race in the US after being purchased for just £3,500! Share Ownership – Chose to pay your share in the initial cost of your horse and pay for your syndicated share of your horse allowing you to capitalize on any profits on the sale of your horse. Share Leasing – Simply pay for your syndicated share of your horse without the capital expense of the initial cost of your horse. Mildmay Racing syndicates only have 12 members. This is so that you are guaranteed an owners badge on arrival at the racecourse allowing you to enjoy the exclusive benefits of the pre-parade ring, owners seating in the grandstand and the owners bar. If your horse is placed in the top four runners then you will have access to the un-saddling enclosure for a debrief from your trainer and jockey, and in the case of a win you’ll be in the winners enclosure for photographs and presentations. Unlike many other syndicates Mildmay Racing keeps the cost of horse racing syndicates low by not charging when horses are purchased or sold. We have even costed-in VAT returns and accounting costs so you’re not going to be presented with dubious horse management bills. Added to that your capital investment is protected by top-flight mortality insurances that are already included in your annual syndicate membership charge. Mildmay Racing syndicate members receive notifications when their horses have been entered (6 days before a race) and declared (48 hours before a race) for races via email allowing you to plan your racetrack visits accordingly. 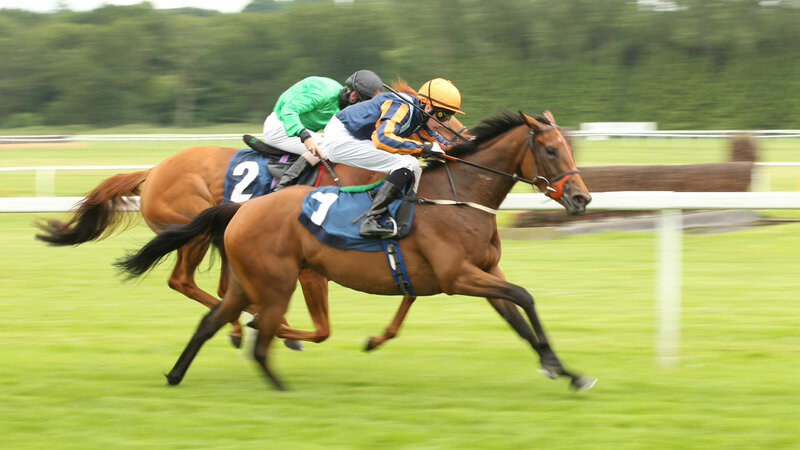 We also provide syndicate members with invitations to races where members badges are free so that they can view other horses and syndicates that they may be interested in joining. If you choose the Share Ownership option you can benefit from the re-sale value if your horse or its relatives do well. An added benefit is that the profit on race horses is tax free. If you would like to discuss your requirements on the phone or would rather just speak to me directly then please call me, Bridget Drew, on 01256 893398 or 07732 317925.